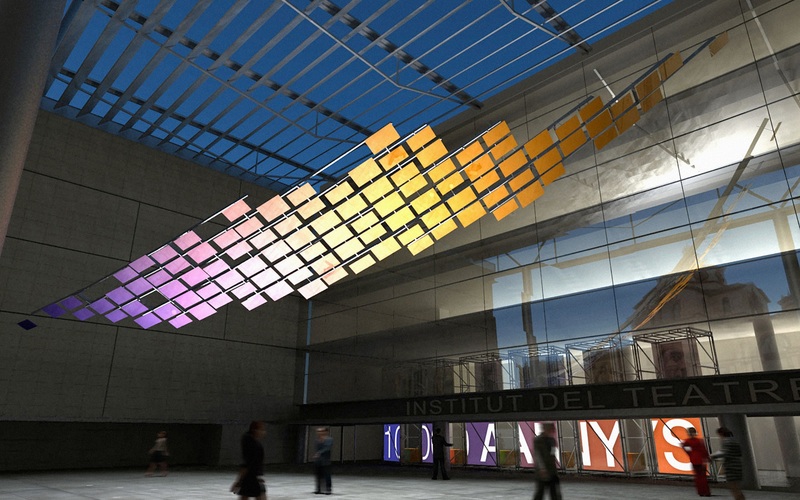 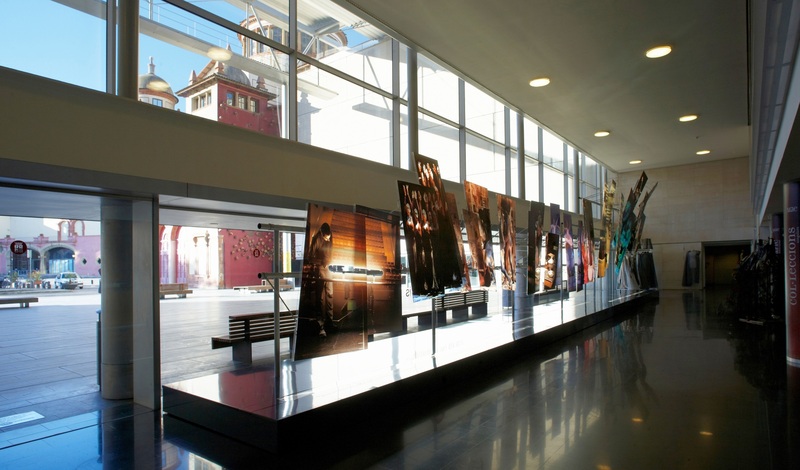 Installation and exhibition to commemorate the centennial of the founding of the Institut del Teatre, installed in the new headquarters in the Ciutat del Teatre. 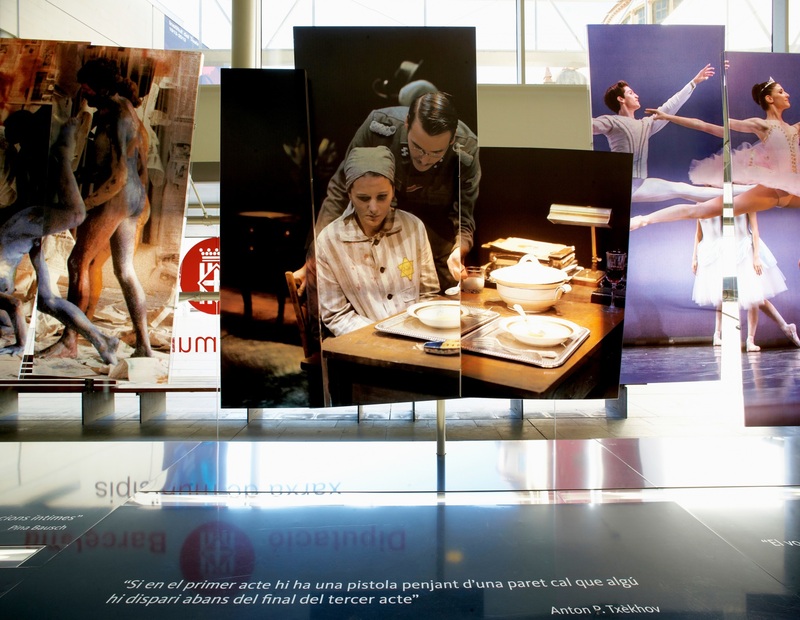 On the occasion of the centennial of the founding of the Institut del Teatre, a large commemorative exhibition was commissioned in its headquarters in the Montjuïc premises. 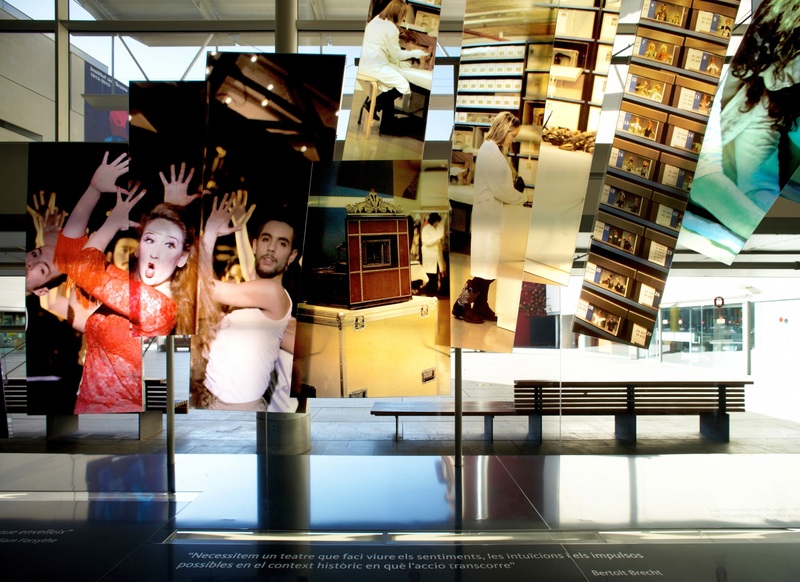 The intervention was divided into three parts. 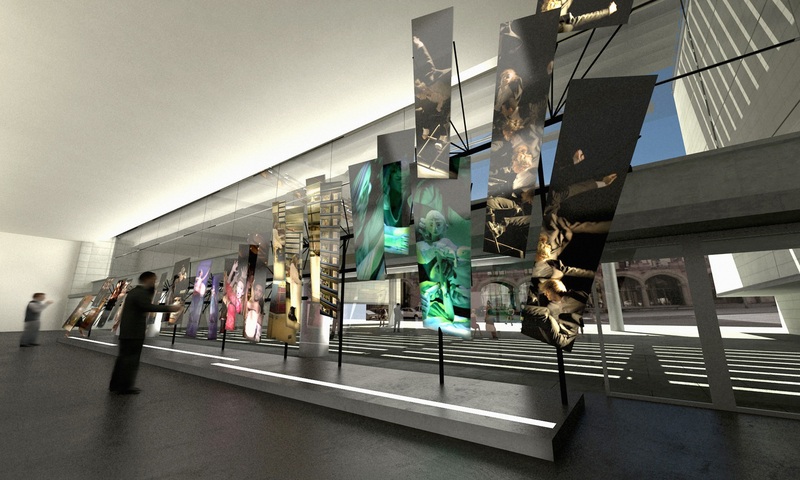 The first piece was ultimately not brought to fruition because of budget constraints. 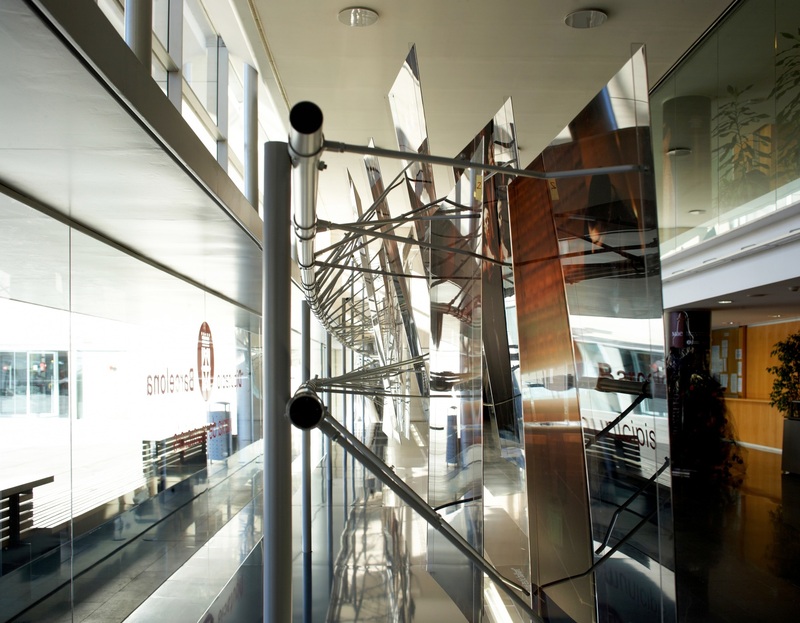 It was a large sculpture made up of 100 mirrors which was to inhabit the outer lobby, as if it were an object representation of a calendar that marked these 100 years of history. 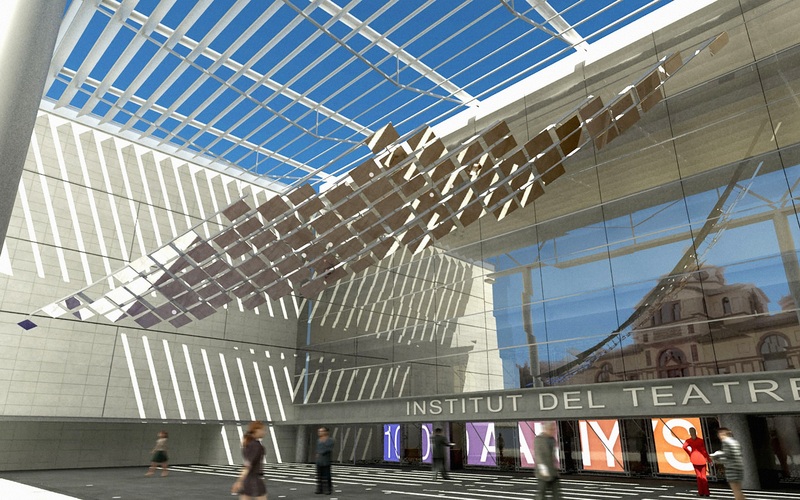 All the teachers, students and other professionals associated with the Institut could see themselves reflected in it as the main players in this century of history. 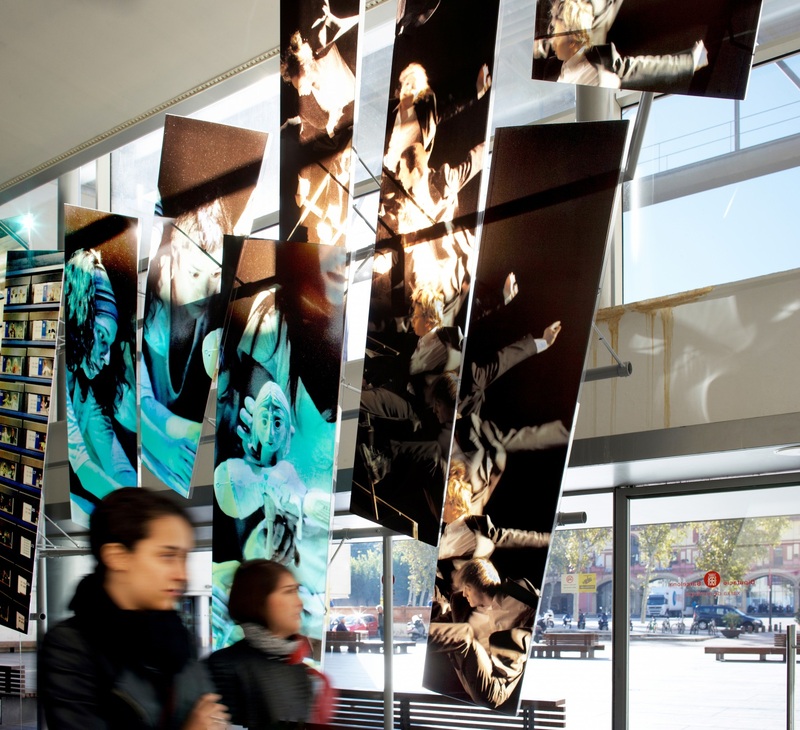 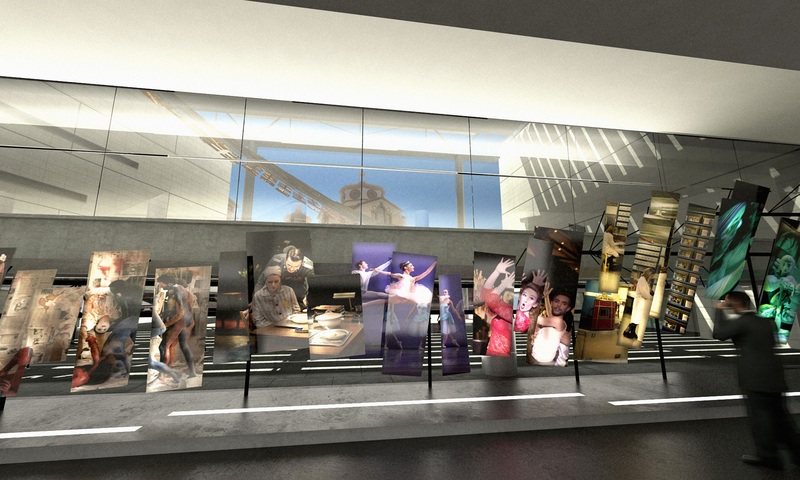 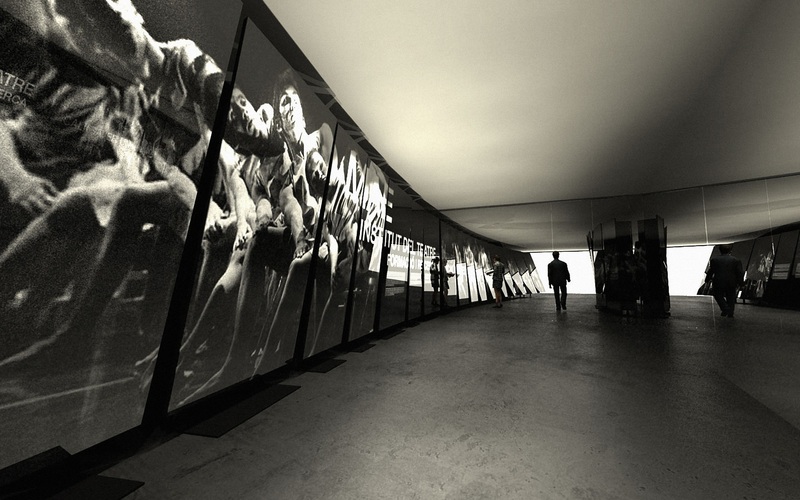 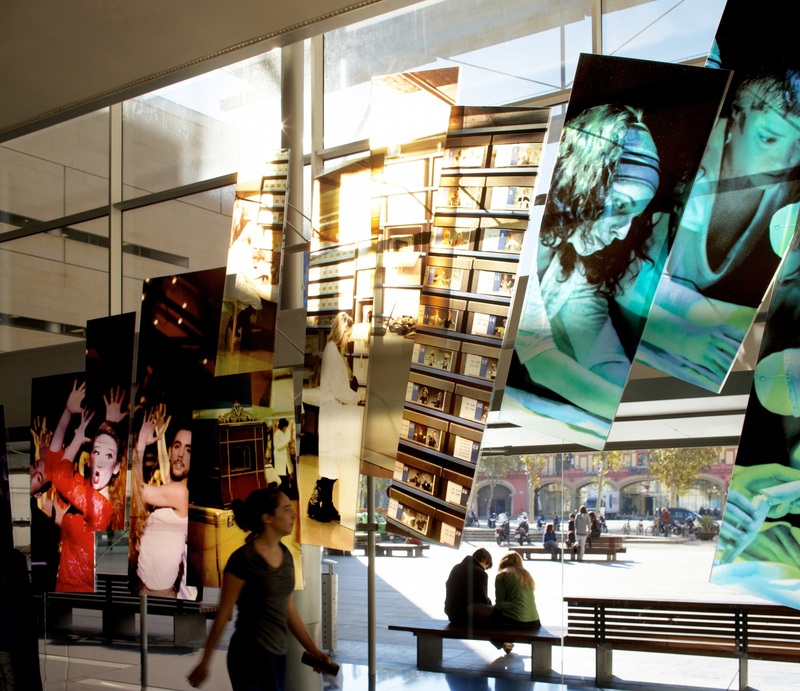 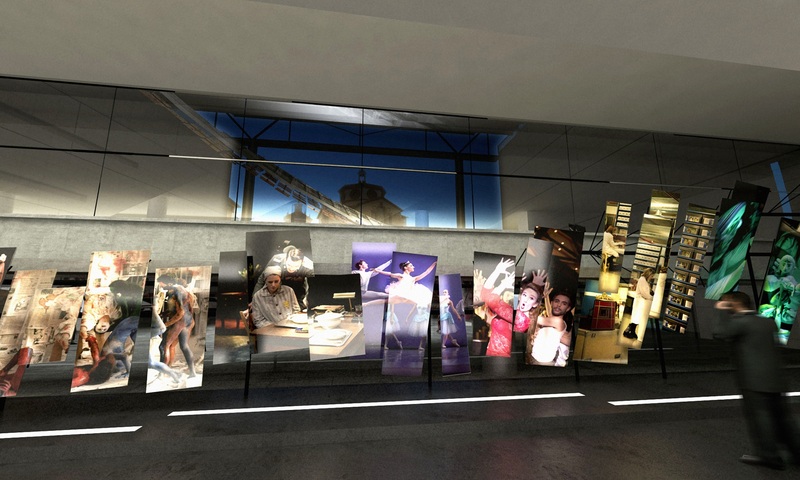 Then a second installation was proposed in the inner lobby comprised of an explosion of images made of printed plexiglass showing all the activities that are offered in and that represent this institution, such as dramaturgy, performance and dance. 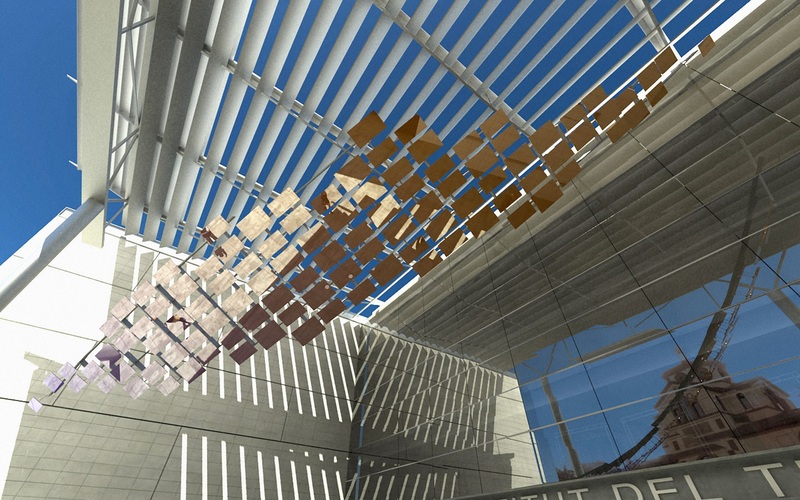 The goal was to establish a rhythm as if it were a piece of glass, a sculpture with rhythm, but frozen in time. 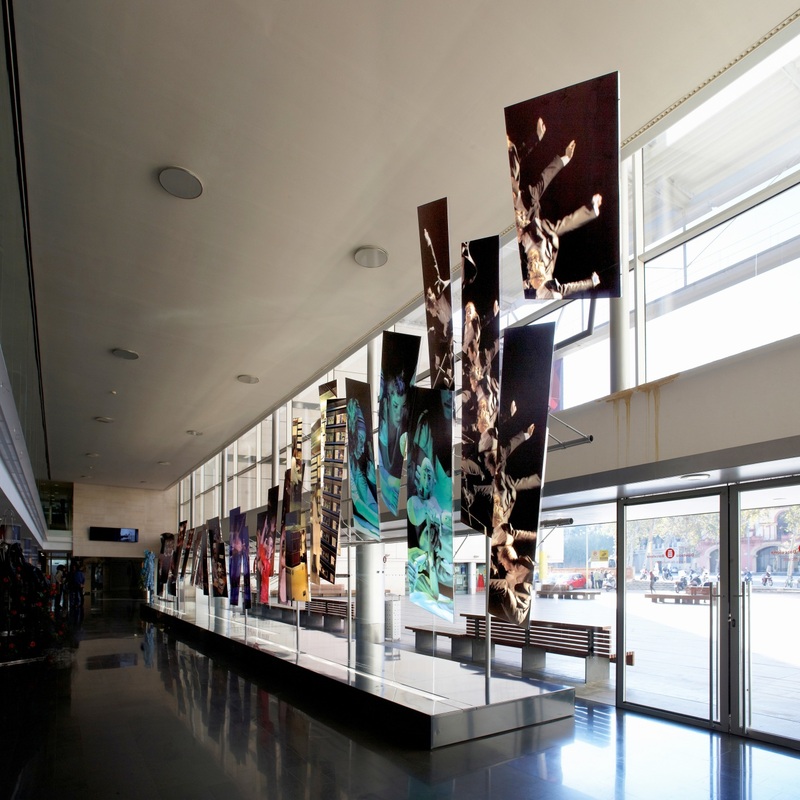 This piece was so successful that it was left inside the building and can still be visited in its original location. 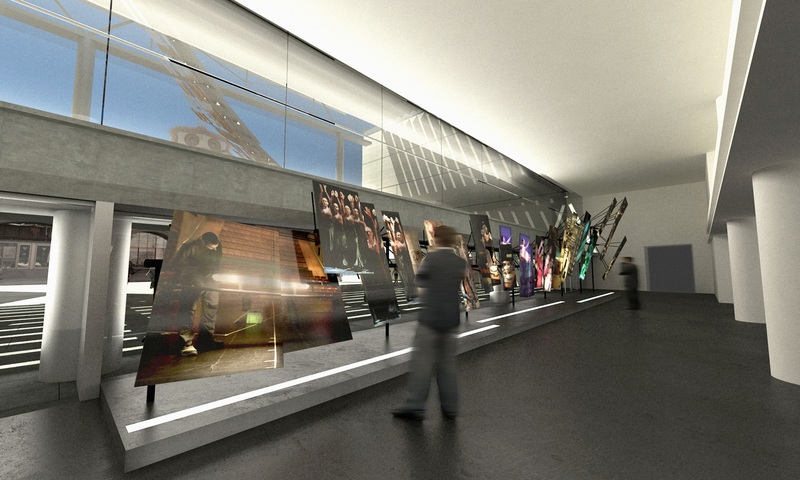 Finally, a historical exhibition was planned with a vast amount of information on the past 100 years. 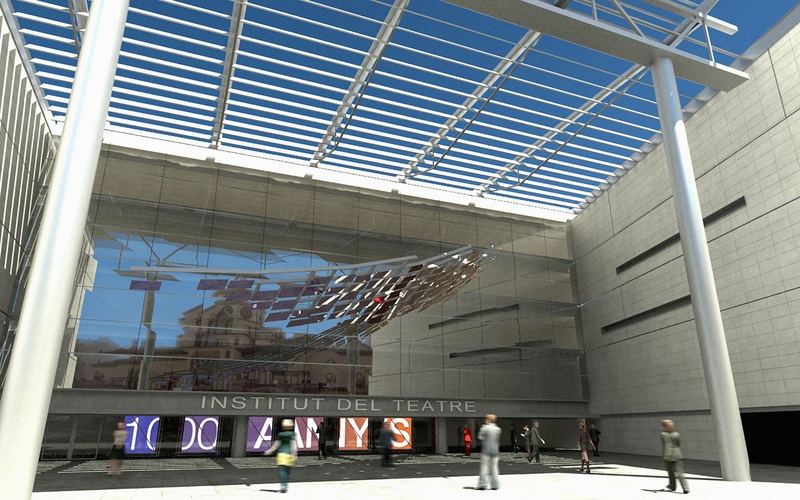 This part was designed with a dynamic feel through curved panels stretching in either direction in a twisting motion.